There’s many different options when it comes to generating a static site, Jekyll, Hexo, Gatsbyjs, MkDocs, Wyam, and many more. 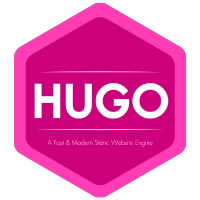 So why did I choose to create this blog with Hugo? No reason. I just did. All of these options are viable for creating something like a blog, but I do suggest if your use case is more complicate and you have some experience with React, then do check out Gatsbyjs.